The REPLICATE project has led the ECO Home renovation in the past month to transform it into the Smart Eco Home. 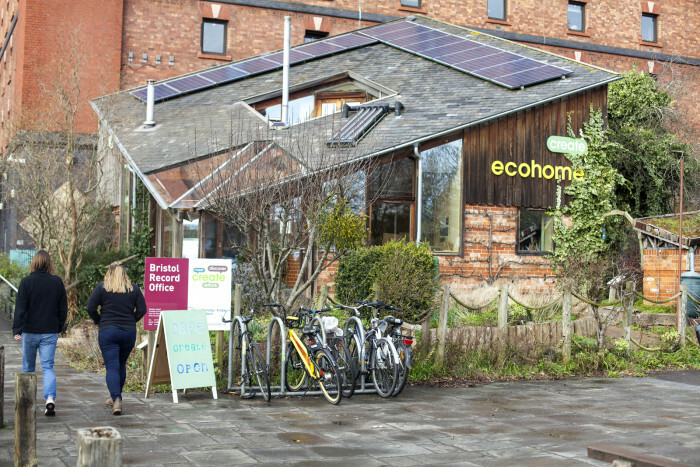 The Eco Home situated by the Create Centre was designed in 1995 and built one year later. Its purpose was a demonstration of how the principles of sustainable construction and living could be put into practice. In the 23 years since its opening, new sustainable materials and the ongoing smart revolution of connected and smart devices – saving energy and doing things in new ways – has occurred. 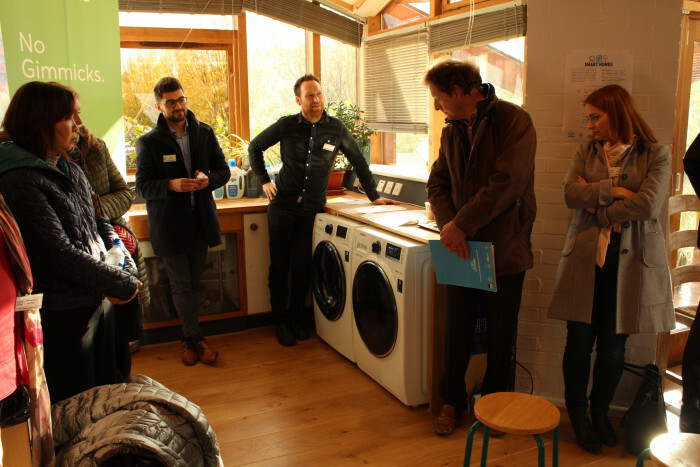 With a mission to explore how smart technology can benefit Bristol’s people and communities, the REPLICATE project has organised and completed an update of the Eco Home to transform it to the Smart Eco Home. The new home enables citizens to come along and explore smart technology, its money and energy saving potential and how it could benefit them. The house is now connected to the internet and controlled by a phone/tablet app. Lights, heating, white goods, rooms and alarms are controlled by a single swipe of your finger remotely. 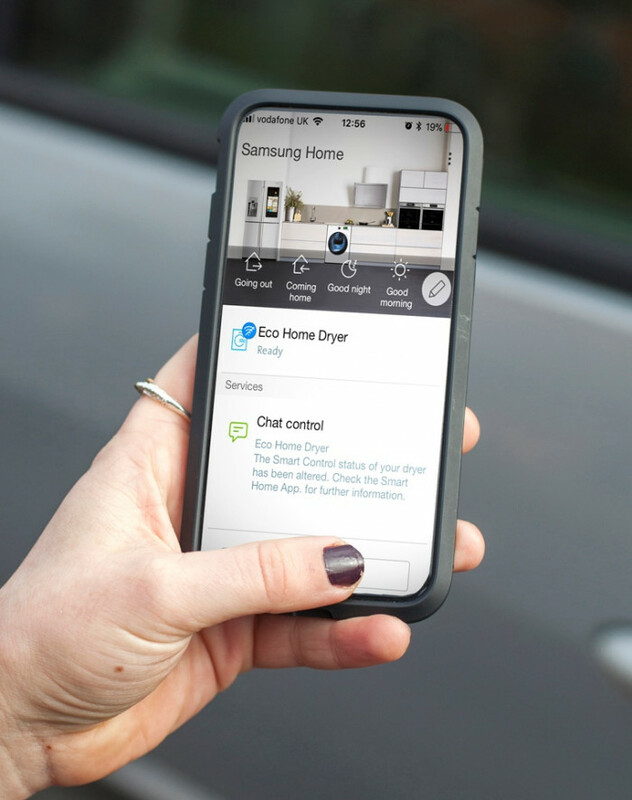 A smart washing machine and a smart tumble dryer have been installed which are connected and controlled through an app. This app is connected at the same time to the Smart City Platform, which enables the gathering and monitoring of appliances’ energy usage, and in future could be part of a city wide smart grid with local renewable energy generation and trading. Smart homes in the future will offer Bristol households new, more convenient ways to control their appliances to save energy and support Bristol’s carbon neutral by 2030 goal. There have been additional changes that not only include technological goods and services, but also the refurbishment of old furniture and flooring. This has been possible thanks to the sponsors and volunteers’ hard work and support. The project started with no budget and after all the updates and installations, the ECO HOME has received a £15,000 investment. REPLICATE project: supply smart washing machine and tumble dryer. Loxone: smart kit of lighting, IR meter reader air, mini-server and smart socket. NEE and REPLICATE: Loxone kit fitting. Amy flooring and City Innovation Team: downstairs flooring. SOFA project: furniture donation and upcycling of existing furniture. If you are interested in retrofitting your home to make it smarter and more energy efficient, please visit the renovated Smart ECO Home at the Create Centre. Entrance is free. The home is staffed by volunteers and opening hours can vary. Please call to confirm prior to visiting.